More than 100 Labour party members past and present have signed an open letter urging a YES vote on Thursday as the best way to create a fairer, more socially just Scotland. The 133 signatories, including former STUC president Pat Kelly, former Westminster Labour government minister Les Huckfield and former chairman of the Scottish Labour Party Bob Thomson, say a YES vote is not a vote for nationalism but to take 'the important economic and political decisions that will help put right the ills in our society'. YES Scotland Chief Executive Blair Jenkins welcomed the endorsement, saying it reflected the fact that increasing numbers of Labour supporters were moving to YES. "As Labour Party members, supporters and prominent representatives past and present, we have campaigned extensively for equality and social justice. "Within the Party we have campaigned to ensure that the rights of workers, strong public services and the protection of those who need it are paramount to the political agenda in Britain. However for the last 35 years there has been a growing dismay that this is being further removed from priorities of all political parties in London. Unfortunately in the last 20 years this has also begun to include our own representation at Westminster. "It is from this position that we have reached the conclusion that a Yes vote on Thursday will give us the greatest opportunity to create a fairer, more equal and prosperous Scotland. "We know that Scotland is an affluent nation and yet this is not reflected throughout our people. Some 800,000 of our citizens are living in poverty, 1 in 4 of our children suffering the same fate, and a rise in food banks has led the Scottish Outlook Campaign to proclaim that we are in the midst of a humanitarian crisis. This is not acceptable for a country that, with independence, would be among the 20th richest in world. 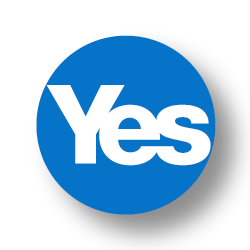 "Recent polls show that the Yes campaign is winning the economic and moral high ground. The announcements by the Westminster leaders of three unionists parties of more devolved powers will be seen as the panic and too late response that it is. If they were so committed to further devolution why did they not lay them out at the start of the campaign 18 months ago and not now after hundreds of thousands of Scots had already cast their postal vote. "We believe that independence will give us the greatest opportunity to redress this, to take control of the decisions affecting our economy and society. It will also give us a return to a real Labour Party here in Scotland. We know that a Yes vote is not a vote for nationalism but to take the important economic and political decisions that will help put right the ills in our society. "It is for these reasons that we are very proud to proclaim our support for a Yes vote on Thursday."